Creatrix Campus has developed a comprehensive range of products to support the various constituents of the education industry such as management, teachers, instructors, students, staff, administrators and parents. Our products include Student Information System, Admission, Attendance, Learning Management System, Fees, Notifications, and more. From online application and admission to graduation and placement, it is clear that there is considerable potential for education software to serve the unique needs of schools, colleges and universities. Research also suggests that the education institutions in this market are unlikely to incur huge expenditure on purchasing expensive hardware or software and face difficulties in integrating systems. Creatrix Campus will cater to these needs and develop SaaS-based cloud and mobile solutions for educators. Creatrix Campus maintains the following advantages over existing competition: Extensive knowledge of the education industry; wide range of modules for various types of institutions and user community, automatic data backup, easy upgrades, superior customer service; informative website; competitive rates. Streamline the admission process and track status from online application to enrolment, and improve interactions with students and parents. Enhance processes with automated attendance management system integrated with smart card & bio-metrics solution. Teachers can create and manage grades from anywhere, anytime with powerful dashboard reports on student’s scores using bar charts. Plan, create and maintain academic schedules for classrooms and instructors. Manage grades and generate report cards and transcripts. Manage difficult student situations with automated discipline and behavior management system. Customized search for library collections including course catalogs, books, digital media, publications, etc. and obtain up-to-date records. View the books borrowed, place the books on hold, request or renew books, renew membership, and create in-depth patron reports. Track and manage purchase orders, update catalog, and send borrower notifications. Monitor budgets, reconcile invoices and approve payments to suppliers. Manage library across multiple offices and locations with a common system and processes and improve global efficiencies. Customized reports in multiple and various formats and track key performance indicators of the library for reliable decision-making. Circulate from anywhere. Manage all notification processes using automated alerts, notices and defaults. 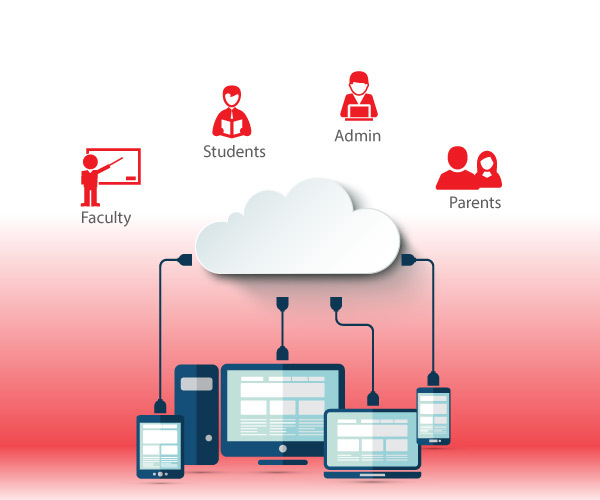 Creatrix Campus offers cloud-based educational institute management system to improve parental involvement. Keep the students and other community updated by sending Email, SMS, & Messaging. Create custom, drag-and-drop reports to meet specific needs of student information system. Schedule all the school, college & university events into the calendar. Get real-time updates on your events calendar with email notifications. Single interface for students, teachers and parents to access information at any time, even while on the go. Get important notifications by email and access grades, report card, schedules and other processes on any mobile device. Creatrix Campus is a cloud-based education software solution which can be customized to match the requirements of Schools and Higher Education. Privacy and Security controls ensure your data is safe with Creatrix Campus. Access all your data through a secure, user-friendly interface. Creatrix Campus works for Schools and Higher Education institutions of all sizes which enables customers to lower risk and reduce downtime. Creatrix Campus provides seamless integration which makes it easy for third party apps to access customizable information in real-time. Drive performance with fully scalable cloud solution to handle growth in size and number of students. We can help you maximize your use of Creatrix Campus and improve your efficiency with our unparalleled levels of support for users.